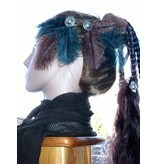 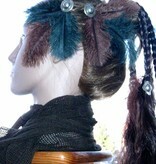 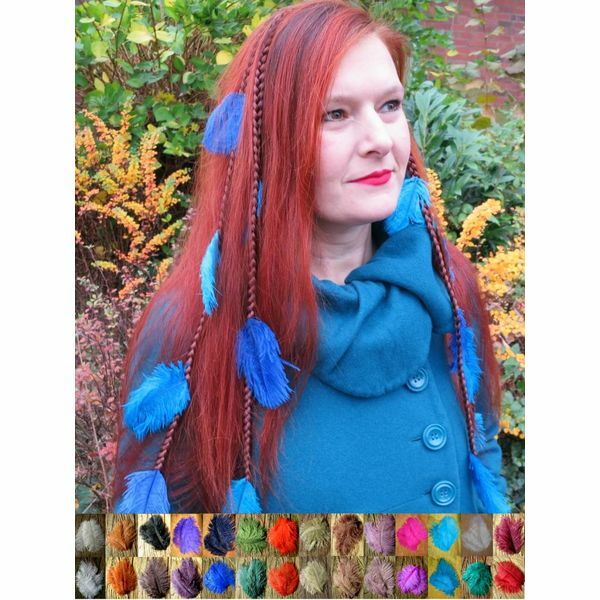 Ostrich feather fascinator in tribal fusion belly dance style with three carefully selected, fluffy feathers. 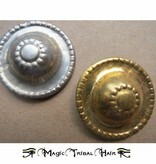 This precious little eye-catcher is decorated with a silver or gold colored belly dance button according to your choice. Get a single eye-catcher or a set of two with discount! 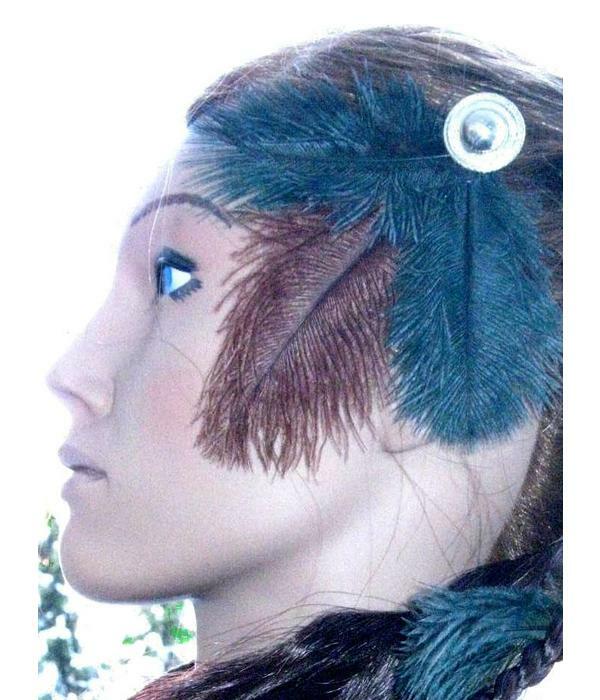 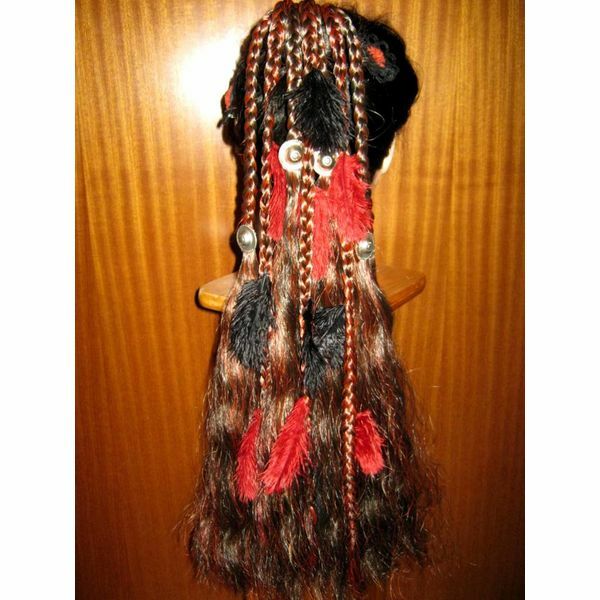 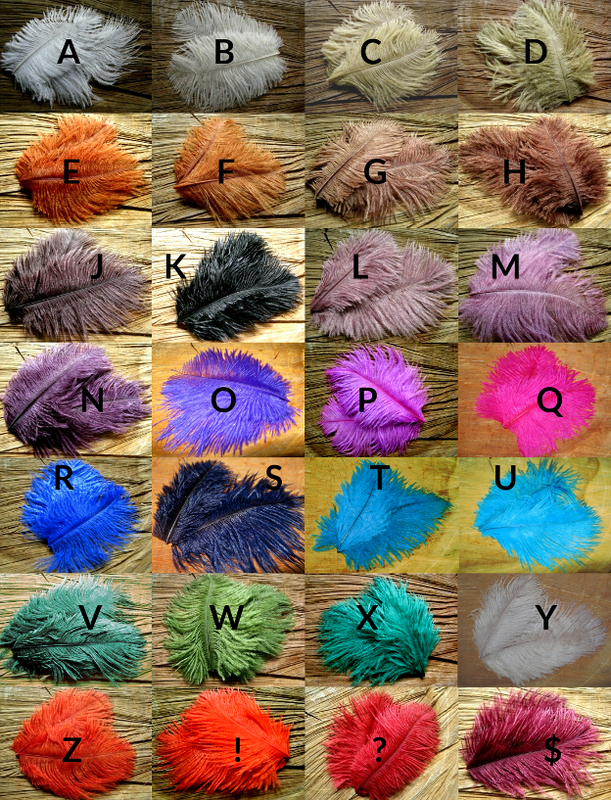 One ostrich feather hair clip is about 12 cm/ 4.8 inches in diameter. 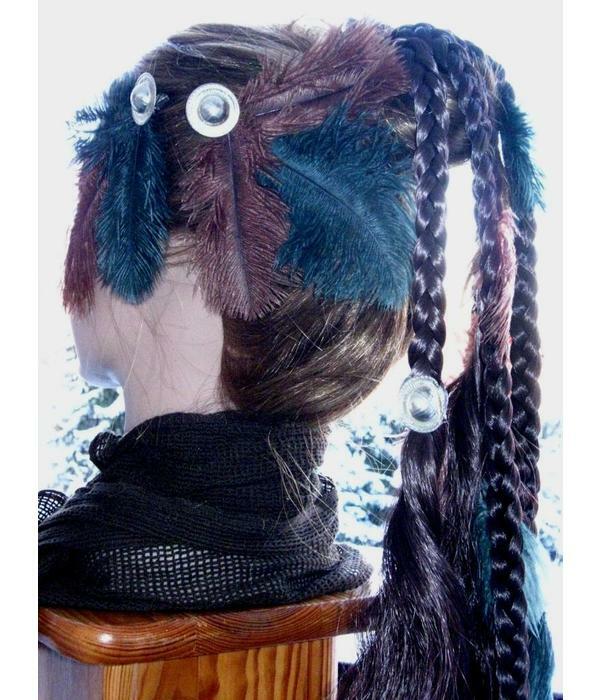 The hair clips are covered with velvet so the metal clips don't shine through. 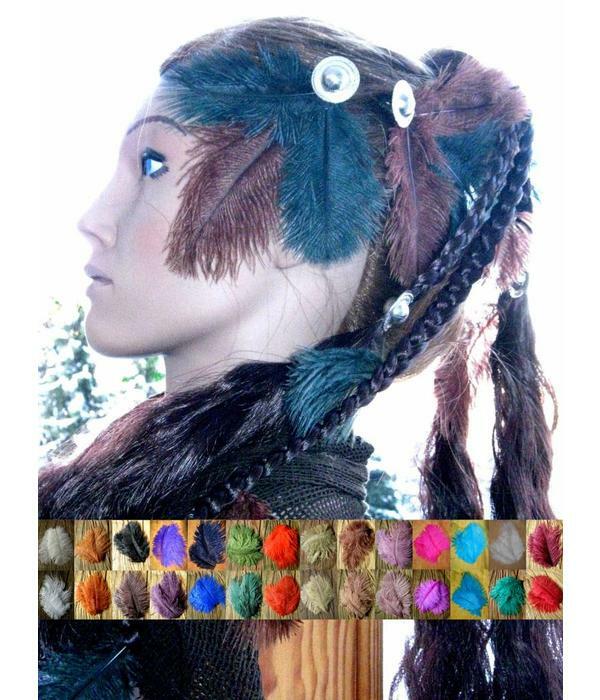 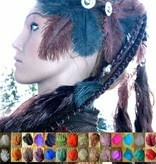 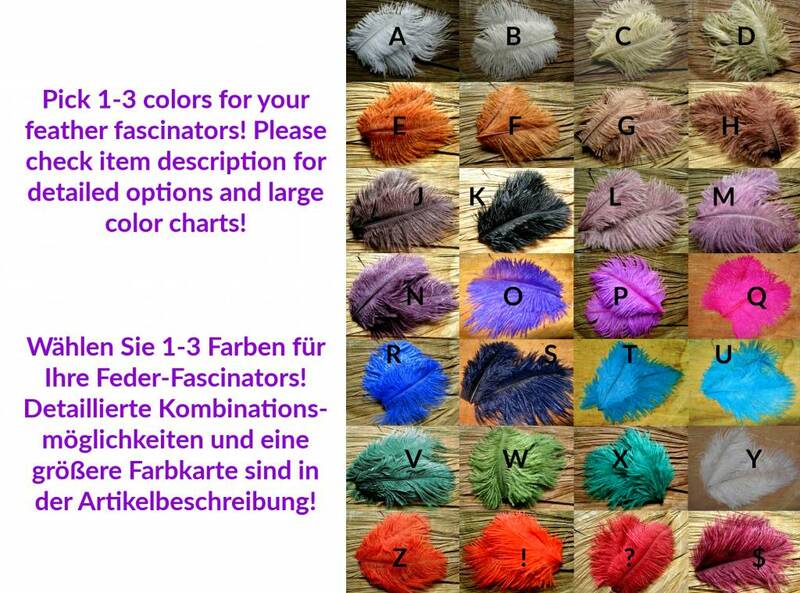 Pick your floral dexoration and feather colors! 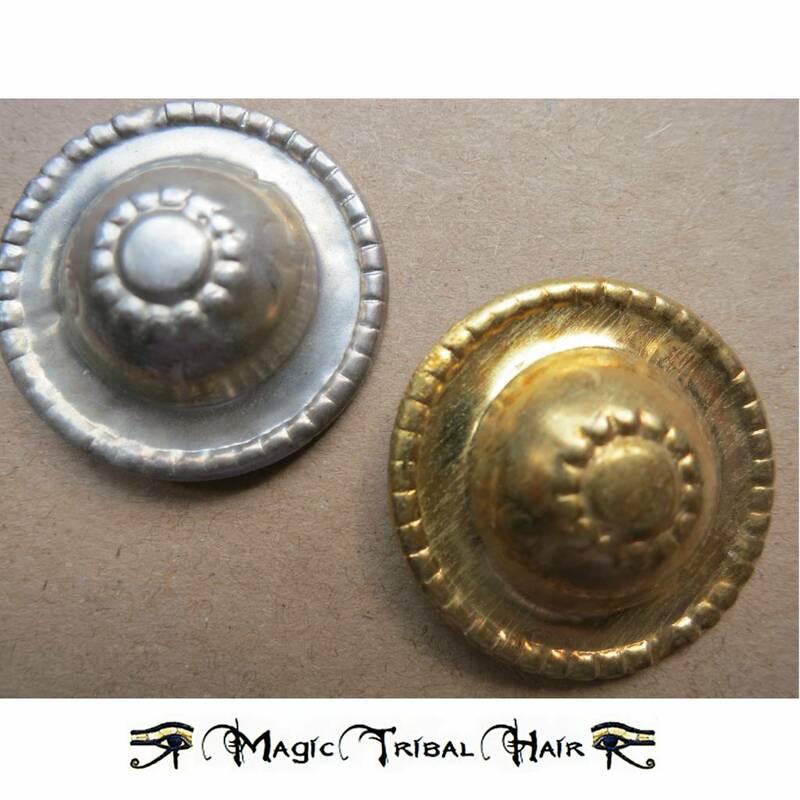 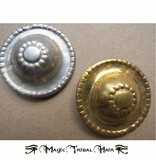 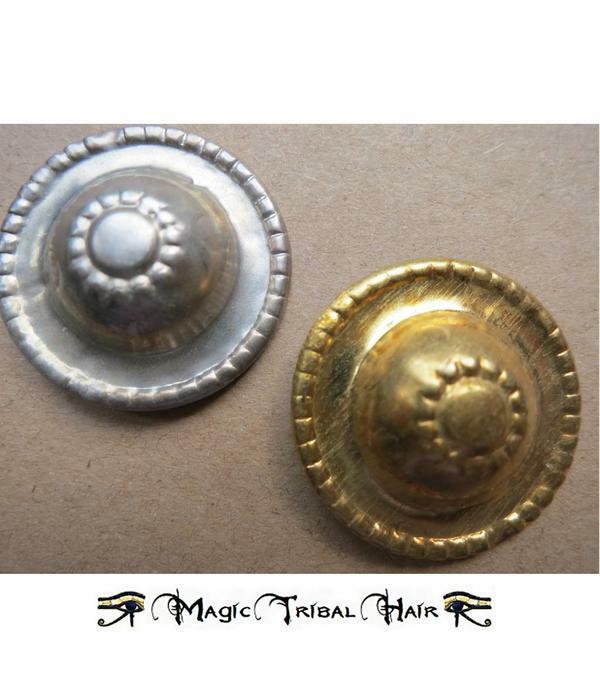 Choose between a silver or gold colored tribal button through the menu. 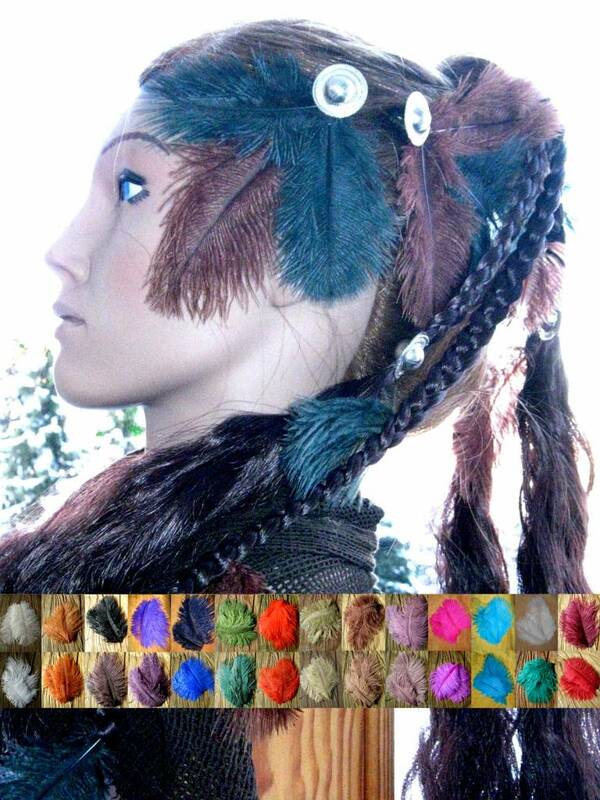 Our tip: Pick the one that matches your other jewelry best! 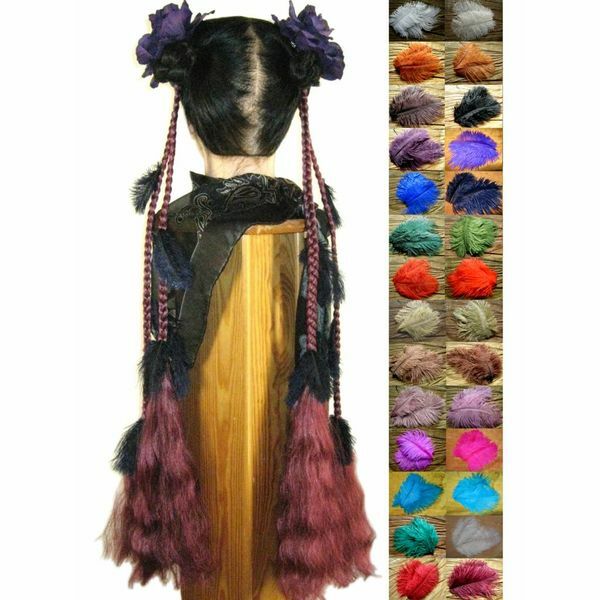 Choose between a single fascinator or a set of two with discount! 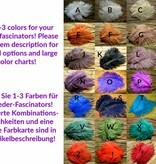 You can pick up to three colors. 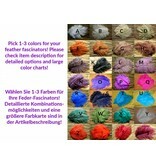 When you are buying a set of two you can either get a pair or two different ones as long as you pick maximum 3 colors. 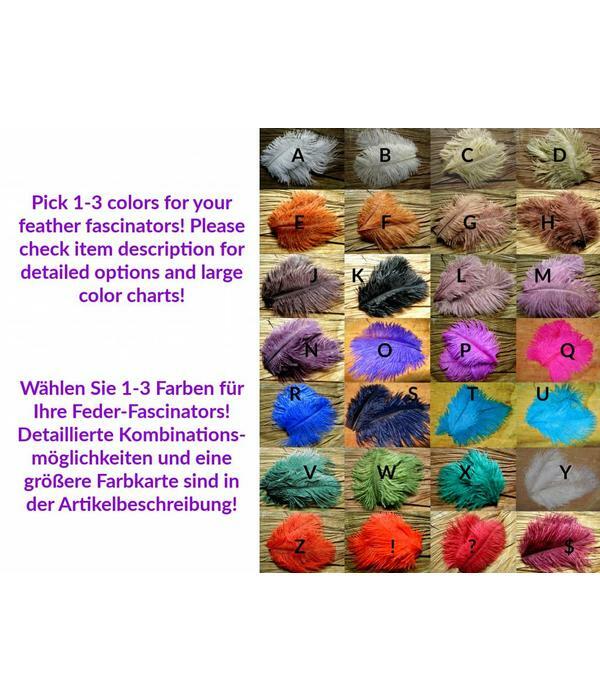 When you order a set of two, use the little message box "special color instructions for set of 2" to tell us your details if you do not want a pair. 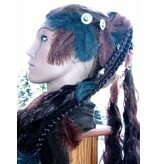 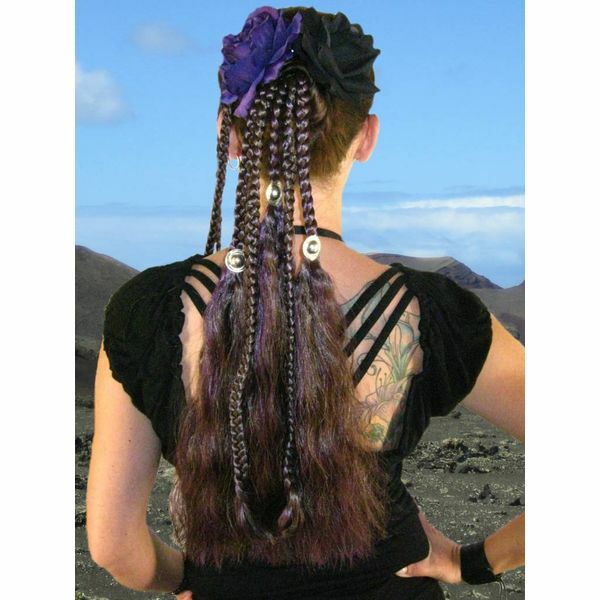 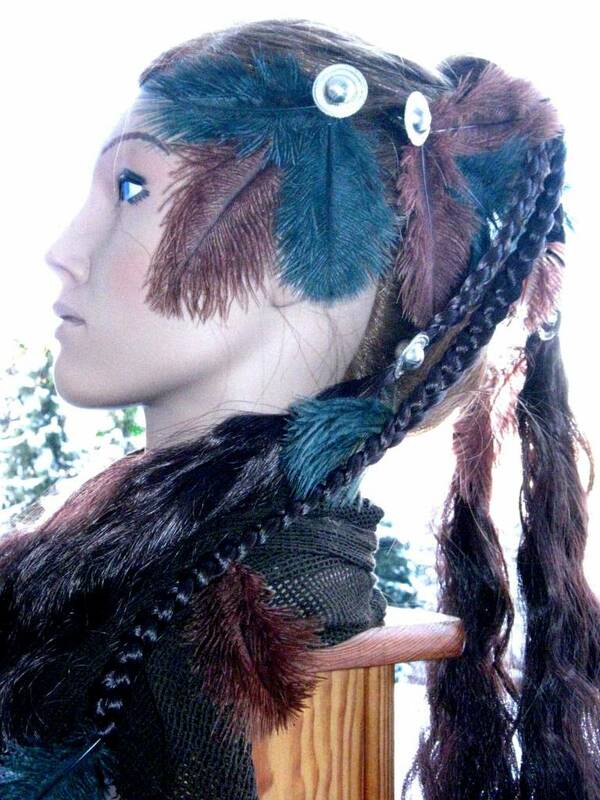 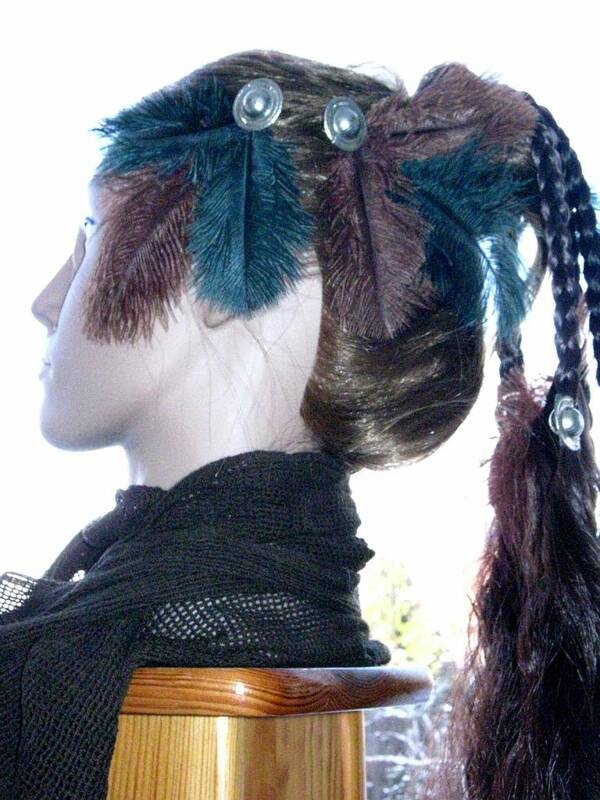 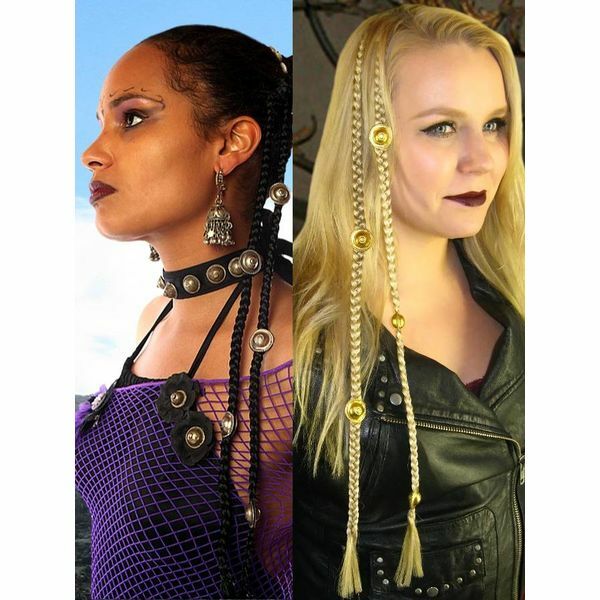 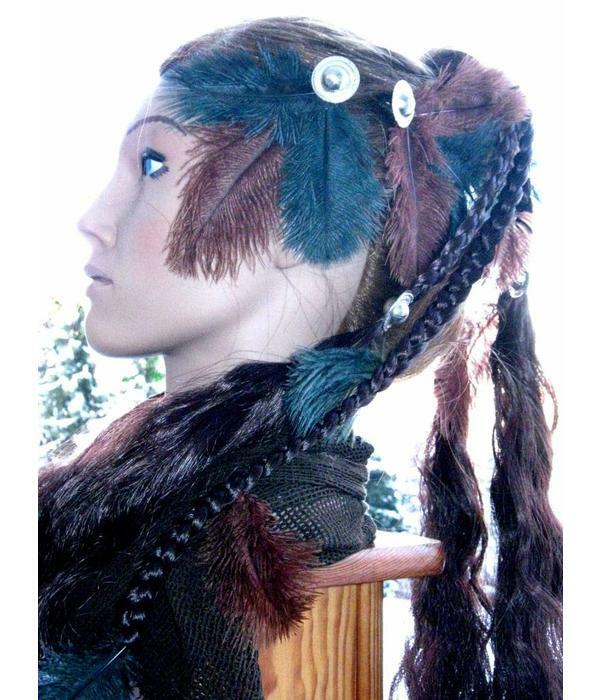 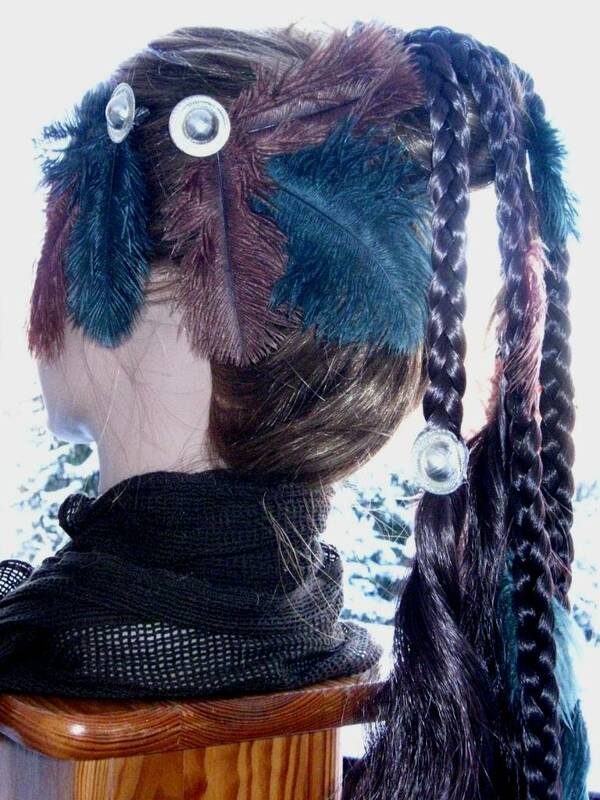 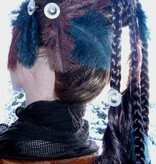 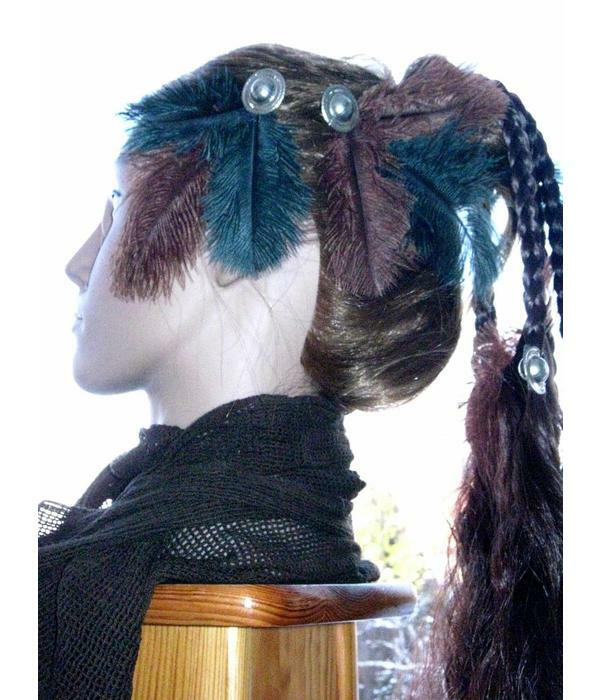 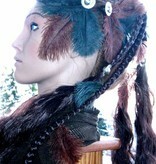 Some pictures show this hair jewelry in combination with further hair accessories, hair pieces etc.. 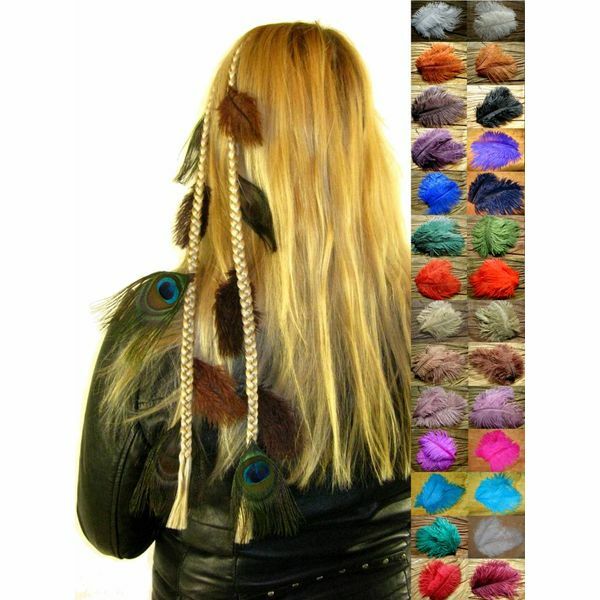 These other items are not part of this offer but can be found in different ones in our shop! 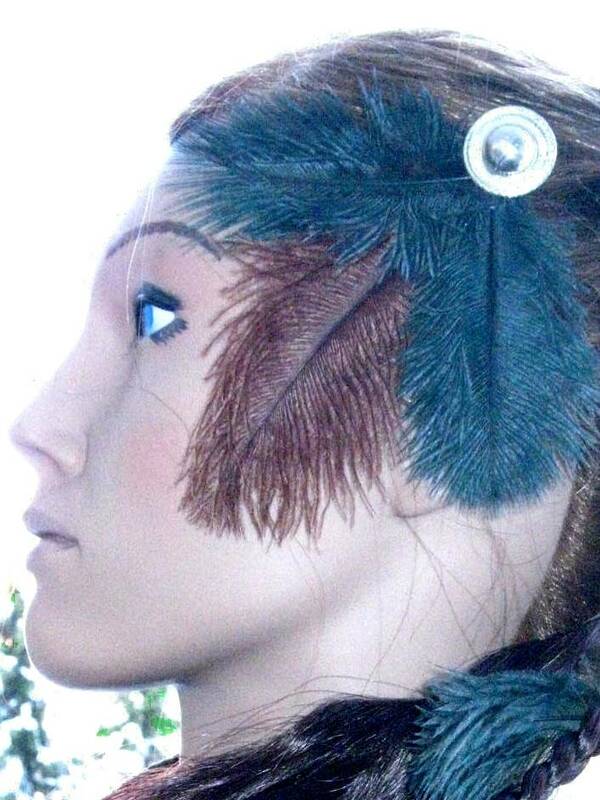 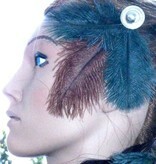 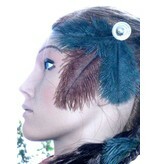 Contact us for any questions about our ostrich feather fascinators!